Our Loris bloggers will keep you up to date! An In-Depth and Comprehensive Guide to Paris! I wanted to create the perfect guide for this amazing city, so I decided my knowledge from visiting twice wasn’t enough. That’s why Traveloris has partnered up with Julie Beckers from A Not So Young Women Abroad to give you this in depth guide of Paris. So, let’s start with a simple question, why should you visit Paris? Julie Beckers: Paris is my favourite city in the world. As soon as I set foot there, I feel at home. From the amazing architecture to the food, and cultural experiences, Paris has it all. Whether you travel for the food, the culture, or to see the traditional tourist sites, Paris will enchant you. It’s easy and safe to walk around and a fabulous place to just get lost in. Paris’s main airport is Charles de Gaulle (CDG) from which you have several options to get you into Paris. The most affordable option is by train, however you will most likely need to change services. So, if you have a lot of luggage you may want to consider an Airport Bus which will cost upwards of 17 EUR and will take an hour or so. For a direct service you can either go for a Taxi or a Shuttle Service – Taxis cost upward of 35 EUR. If you are flying into Paris remember to check Duty Free limits and Visa requirements. 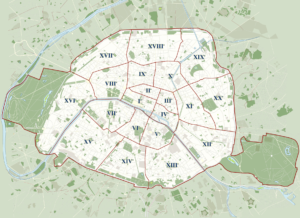 Paris is divided into 20 Arrondissements or municipalities, that are named from one to 20. The lower the number of the Arrondissement, the closer to the city centre. The 1st Arrondissement is right in the centre and provides ease of access to the main attractions in Paris like the Louvre, it is a great place to stay on your first visit. However, my favourite area is the 5th Arrondissement otherwise known as the Latin Quarter. Although there are some very touristy areas of the Latin Quarter, a short stroll away from these places provides you with a sense of another time. My favourite place to stay in the 5th Arrondissement is the Relais Hotel du Vieux, located in the quaintest medieval street – Rue Git le Coeur (where lies my heart). If I am staying for a while, I prefer to book an apartment, you can find these dotted throughout the city and it’s a great way to experience living like a local. I tend to plan my trips so I can walk between most places, plus Paris has so many hidden gems and Cafes that you may just miss out if you use public transport for everything. However, sometimes it’s inevitable, and to be fair to Paris their public transport system is right up there with London’s. Easy to use and will get you just about anywhere, just make sure to grab a Metro Map (Link) (Consider Bus’s also, the journeys are more interesting). You can get all the details here, Ok time to move on to the juicy parts of Paris. It goes without saying there is so much to see and do in Paris. To see everything we have listed below would take you more than a week so you may have to pick your favourites. At the bottom we have included itineraries I built using Traveloris for a weekend in Paris and 10 days in Paris, these will help you get the most out of your trip! Paris has an endless list of amazing Museums from Art to Science and History, here are some of my favourites. 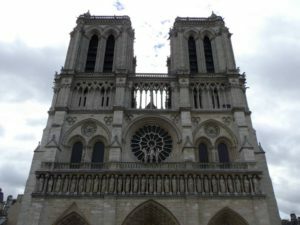 Notre-Dame is a must if you are in Paris, and if you have a bit of extra time than tying in a visit to the Archaeological Crypt is well worth it. A visit here will take you back in time where you will discover successive buildings erected on the site from Ancient Times to the twentieth century and you’ll also walk through ancient ruins on which medieval and classical remains are superimposed. Definitely worthy of a mention in this Guide to Paris. A Grand Palace with stunning gardens situated in a vast estate 7,800 Hectares big. It was once home to the Princes of Condé. Step inside this palace and discover not only what life was like in the 17th Century, but also gaze upon an art collection that rivals that of The Louvre. 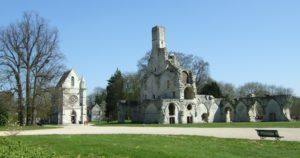 You can easily turn this into a day trip by combining it with a visit to the Abbaye Royale De Chaalis (I’ll cover this one below). A perfect day out, however you may need to rent a car to make travel easy. This is a brilliant and fascinating museums that kids would also like. 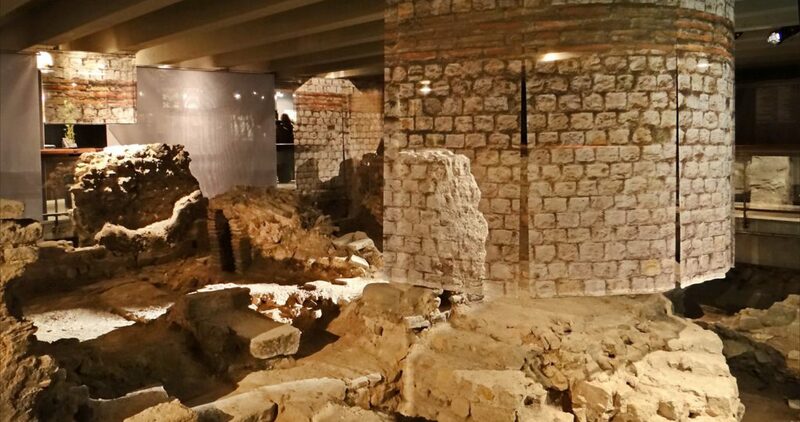 This museum is home to over 100 three dimensional maps of cities and fortress that were built in order to give French commanders a military advantage. Some of these small scale models date as far back as 1668. Are you into planes and space technology? Well, this is one of the best Air and Space museums in the world with over 19,000 artefacts some of which date as far back as the 16th Century! It is also the only place where you can see two Concordes side by side! As I mentioned in my guide to New York, Modern Art isn’t really my thing, however, if it is yours, this is the biggest and likely the best in Paris. THE best art museum in the world. Make sure to choose your time of visit well (try to get there just before 9am) or you may be stuck in a long que. 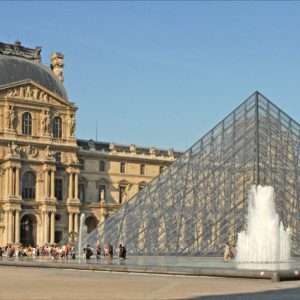 Also remember, although The Louvre is home to the famous Mona Lisa don’t forget to stray away from the main trail of tourists and explore some of the more hidden gems in this museum. You can easily spend more than 3 hours here. This collection is housed in an old railway station, a stunning building! The paintings are nothing short of sublime, I doubt there’s a better collection of Impressionists work in the world. There is so much to like about this museum, it is a stunning 18th century mansion with a really impressive sculpture garden displaying some of Rodin’s most influential work including the famous The Thinker. Markets are a great way to grab a bite of local food, or to buy some great items to take as souvenirs or gifts. Make sure to squeeze some of these into your trip to Paris! The biggest, the greatest, and potentially the best flea market not only in Paris but the world! Lose yourself for a few hours among the 3,000 traders that put their items on display here! It’s conveniently open Monday’s, Saturday’s, and Sunday’s so it’ll likely be open during your visit. Paris is well known for its food, naturally markets are a great way to experience it. I highly recommend Marché des Enfants Rouges, Marché Bastille, and Aligre Market to grab yourself a quick meal. Food markets tend to also be more affordable than restaurants, so what’s to lose? You can easily see where they all are and tie them into your trip using Traveloris. Paris is a busy city, so often it’s quite nice to get out of the bustle and enjoy some nature. Luckily, Paris has plenty to offer to help you escape for a bit. Below are some of the best, and I will mention that most of them house museums so it is easy to tie nature with learning. I mentioned the Rodin Museum and the Château de Chantilly above which could easily be considered palaces/gardens as well. This also doubles up as a museum as it is home to masterworks of Giotto, Houdon, Boucher, Pajou and more which are all displayed in an interior setting that alternates the styles of Renaissance. However, what is really noteworthy is the building itself and the surrounding gardens and greenery. It’s a great way to get out of the city and enjoy some nature combined with culture….but it is a bit further outside of the city. 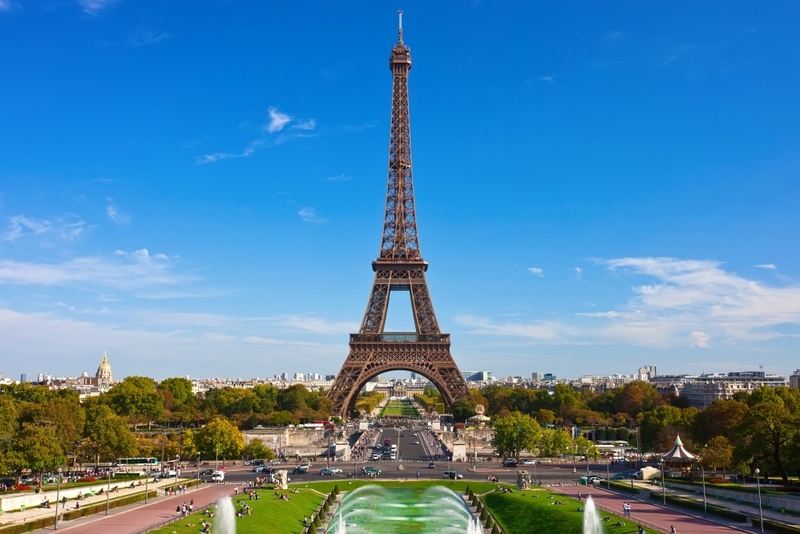 It is inevitable that you will land here at one point during your visit to Paris. It’s the large stretch of grass in front of the Eiffel tower. What I like the most about this park is that it’s central, and has a great backdrop. However, you will have to compete with other tourists trying to get a selfie with Paris’s most iconic attraction. Very large and conveniently the Jardin des Plantes is also fairly central, but it has a lot more to offer than the Champ-de-Mars in terms of botany. Also perfect for a picnic. Probably my favourite way to easily escape the city. 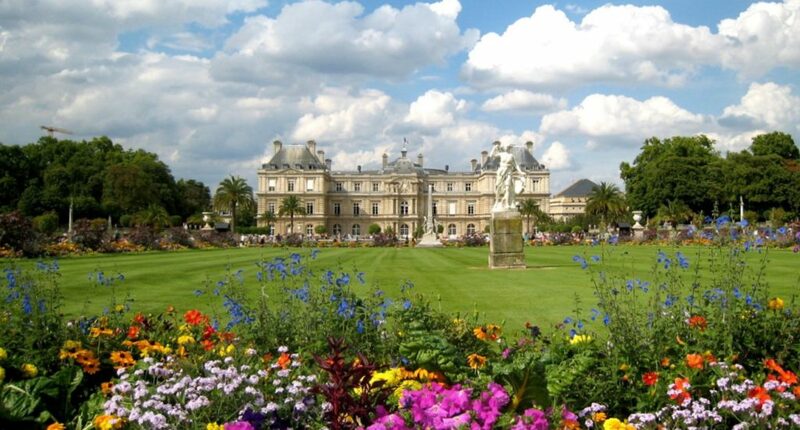 It is easy to get to and has a stunning park as well as a really impressive palace. I highly recommend a visit to break up a busy day. You’ll find plenty of space for sitting, relaxing and enjoy the calm atmosphere. Make sure this is a part of your trip to Paris. Don’t really need to say much here, I just figured it is important to include this world iconic attraction which is almost impossible to miss if you visit Paris. Just be mindful of what time you deice to visit it as the ques can be quite a pain if you want to go up, mornings tend to be the best time to go. Alternatively grab yourself a skip-the-line pass beforehand. I will note, that you may just want to get a picture with it and then go to Mont Marte for free and stunning views over Paris. I think this is one of those attractions that you’ll either love or hate. 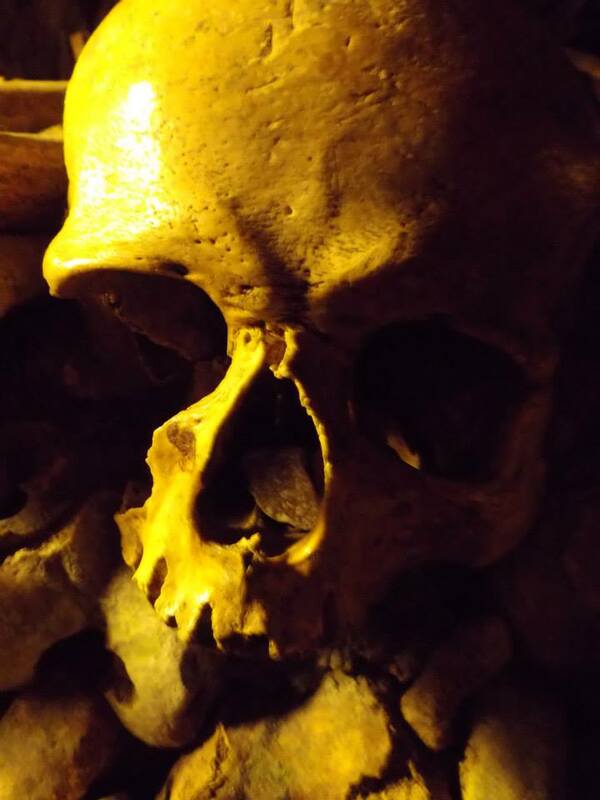 It is a bit eerie walking through an underground track that is lined with the remains of 6 million people, you definitely won’t forget this experience. I probably wouldn’t recommend taking kids though, it’ll likely give them nightmares. A really big Medieval Cathedral on its own little island in the river Seine and I am sure you know it (The hunchback of Notre-Dame…). It is among the largest and best known Cathedrals in the world and is truly stunning. My favourite part however are all the gargoyles that decorate the church. Make sure to visit the crypt I mentioned earlier while you are there. This is a 13th Century Gothic Chapel right next door to Notre-Dame. It’s worth a visit for one great reason, its amazing stained glass windows! So make sure to go inside for a quick peek. 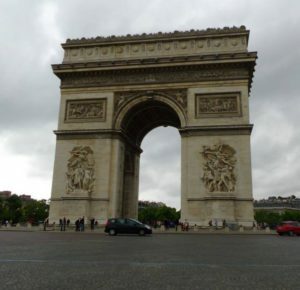 Yes the Arc De Triomphe is very nice and pretty and worth a visit, but what’s worth mentioning is the actual walk to get there. Make sure to walk up the Champs-Élysées which is packed with theatres, luxury shops and Cafes. Once you have made a pit stop at the Arc, continue along the Av. Foch until you get to the Bois de Boulogne, a giant park that is also home to Jardin d’Acclimatation (I will get to further below). This iconic, domed white Basilica is a real wonder! Definitely make a pit stop here. 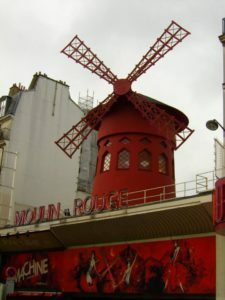 However, there are two further reasons to visit, the first, the area it is in – Montmarte, is really nice and if you haven’t heard of it it’s home to Moulin Rouge. Secondly, from the Basilica you will get the best views over Paris in my opinion. A good way to visit this area is to actually take the free walking tour I will get to below (spoiler alert). Tours are a great way to get a deeper insight to a city and Paris has plenty of tours that will give you a local’s perspective and show you some of hidden locations. Grab yourself a free map of the route and choose the stops where you want to get off and explore a bit more of Paris. One of the nicest and most interesting areas in Paris that I briefly mentioned earlier. This tour takes you along coble stone streets led by a local who will tell you stories you simple won’t come across otherwise, did you know Picasso lived in this Bohemian district? Free walking tours have always been one of my favourites when it comes to discovering a city. Be aware when they say ‘Free’, there is bit of an unspoken expectation that you will provide a nice tip at the end. Another great ‘Free’ walking tour and probably the best one if you want to discover Paris and get a feel for it from a local perspective. If you only go on one tour while you are in Paris, this is the one you should go on. Completely out of the ordinary and that is why I love it! The name tells you everything you need to know, but I will add that it is actually quite fascinating and a nice change from the ordinary. Perhaps if you aren’t up for the Catacombs, this would make a good alternative? This is a really really good way to treat someone! A cruise along the windy river that splits Paris is a must. There are loads of spectacular sites along the way and you get to enjoy them from the comfort of a chair with a 2 course lunch. There are cheaper variants where you skip lunch if you rather. Make sure to let your hair down for at least a day and just have some fun. Especially if you have kids with you! This is a really nice green park in the large Bois de Boulogne. It’s got train & pony rides, puppet theater & animal enclosures. It’s definitely aimed at Kids though. This place needs no introduction! However, I do recommend you take kids because when you are having more fun than they are you won’t look like a complete weirdo. You can easily spend a whole day here. By the end of your visit you won’t want to leave back into the adult world! I think it is safe to say that this is home to the most famous Cabaret in the world! So, looking for an evening of fun and entertainment without the kids? You just found it. I’ll admit I have never been but really want to! Getting a good look over a city is one of the first things I always plan into a trip! And Paris has a really great place for that. So, I recommend heading to Mont Marte, have a look at the beautiful Sacré-Cœur and of course take in the great view from the top of this hill. You wont struggle to find good food in Paris, but here are some insider tips. You need to go to la Poule au Pot, it’s where all of Paris’ chefs go to eat after their shifts. The restaurant at the Eiffel Tower is also good and the view is amazing. Oh and pretty much any patisserie for a real chocolate eclair! If you like to shop, then Paris is your place. From little boutiques to designer brands, you don’t have to travel far to get your shopping fix. The major fashion houses line the Champs Elysees and you have to make a stop at the Galleries Lafayette (well worth a visit just to window shop). Of course, no trip to Paris is complete without picking up that perfect scarf! It is often quite nice to pick out an area in a city and just explore, get lost in the alleys, try out café’s and restaurants, and find local shops. When I plan my trips I usually leave a spare day or so to do exactly that, after all having an itinerary doesn’t mean restricting yourself, it means experiencing more. Here are some of my favourite areas in Paris to do exactly that. Escape the madding crowds with a visit to the Canal St Martin or sample the best ice cream at Ile de Saint-Louis. Tourists in Paris don’t walk far from the attractions, by venturing out just a little, you’ll find the real Paris! If you have a bit of extra time in a city I always look for a day trip, and I think this is the perfect one for Paris. It’s a day out where you will explore one of France’s most famous rural regions. Plus, you get to do some Champaign tasting! Only down side to day trips is they can get a bit pricey, have a look at the tours available on Traveloris, they have definitely done their research on this one. Whenever you go on holiday keep an eye out for events, they are often the difference between a trip being just a trip, and a trip being an experience. I once went to Paris purely to go to the Air Show and it was worth it! It’s a great day out where you will be amazed by what’s possible in the sky. 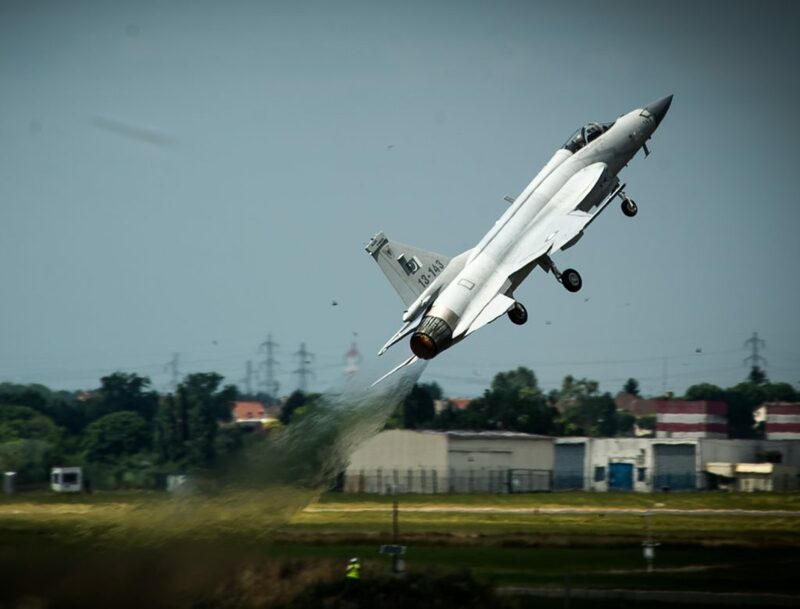 You will find all sorts of aircraft from Europe, the USA, Russia, and China all competing to put on the best show. It happens once a year and usually is on around June. The city comes alive with the sound of Jazz during June and July with many free and inexpensive concerts held throughout the city. Paris has so much to offer and if you create your itinerary from scratch than you would have to do an insane amount of research and planning! Alone the fact that Traveloris has handpicked and researched their attractions makes it well worthwhile to use. But once you combine that with its interactive scheduler, you will really turn planning the perfect trip into a quick, easy and fun task. It was when I used it. A lot of the attractions mentioned are included in the Paris Pass, if you group your favourite attractions well than you can actually save a lot of money! This is also where Traveloris comes into its own – Once you have planned your trip it will tell you just how much money you could save, very nifty. Now, I hope this in-depth guide to Paris has helped you plan the perfect trip, and if you are about to go to Paris than I am very jealous! Have fun. If you enjoyed this blog and think others may also, why not share it?